We were cutting grapes in a vineyard in eastern Georgia’s Kakheti region when two young men led a goat by a rope to a nearby tree and sliced its neck with a hefty hunting knife. Our lunch. They offered us a sliver of fresh raw liver with sardonic smiles, insisting it was the best part, but we passed and waited for the meat to be cut, skewered and roasted over the coals of tsalami, or vines. Served with bread, razor-sharp sheep cheese, whole tomatoes, cucumbers and rkatsateli wine, nothing could have been more Kakhetian. 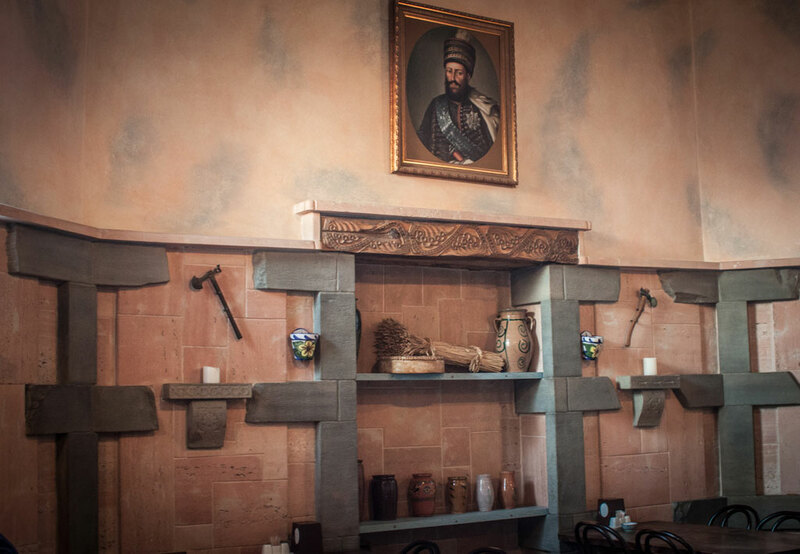 Since that harvest, we have been to scores of Kakhetian restaurants in Tbilisi, most of which were gratifying, but none had goat on their menus. 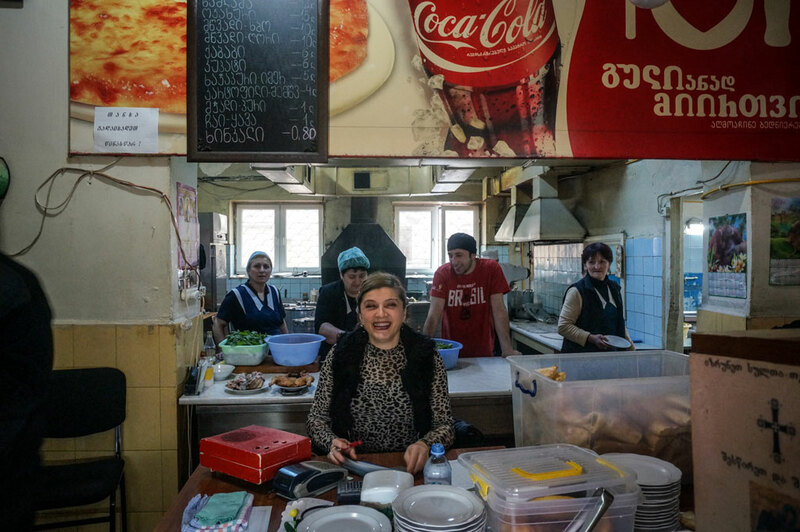 Last week we finally made it to Kakhelebi, a homey Kakhetian restaurant our epicurean friends have been urging us to try for some time. 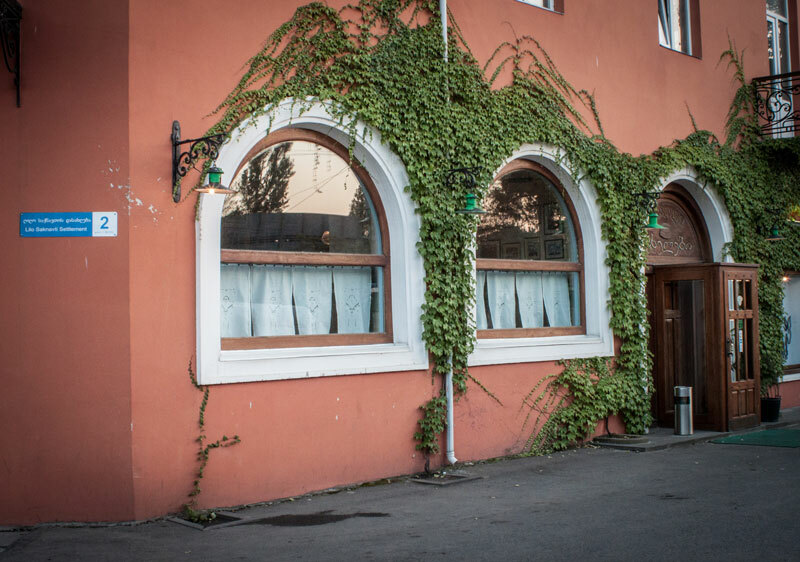 Being located beyond the airport on the frontiers of Tbilisi, with dozens of excellent restaurants between us, makes it an easy place to overlook, but one taste of virtually anything on the menu is truly an unforgettable experience; you’ll want to go back soon. And Kakhelebi serves goat. Kakhetian cuisine is known to be simple and hearty, consisting mostly of roasted and boiled meat and basic salads – peasant food that nourishes the body after a long day working in the fields rather than excites the tongue with lip-smacking rapture. Kakhelebi owner Chichiko Goletiani, however, knows otherwise. 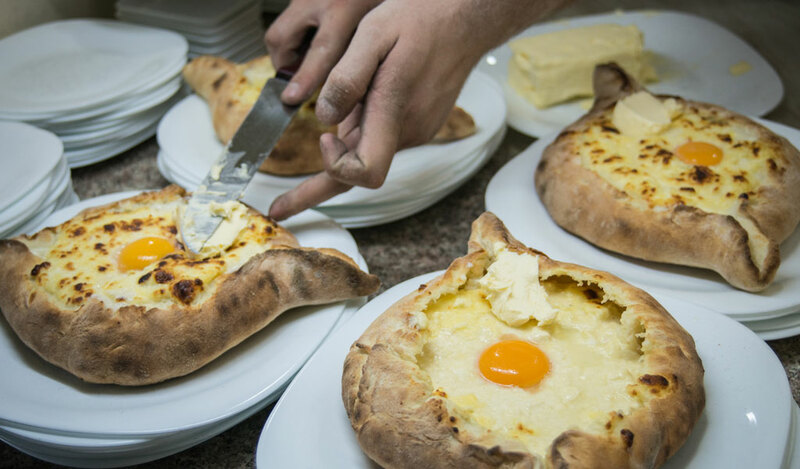 The 53-year-old mobile-phone entrepreneur opened Kakhelebi (“Kakhetians”) in 2010, with the aim to “increase the potential of Georgian food.” Together with local cooks he has developed an original menu inspired by the kind of food he grew up with in the Kakhetian village of Vachnadziani. 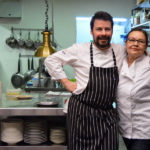 Being on the Kakheti highway at the edge of town might not be the most pragmatic location for a restaurant, yet with all the produce coming daily from Kakheti – including Goletiani’s own 55 hectares of land – the choice has definite logistical advantages. But closing the doors at 8 p.m., a time when most Georgians go out to dinner, begs the question of whether this is good business sense. The waiters, who Goletiani prefers to call “hosts,” guide us through the meal, pacing us course by course. We’ll have to wait an unheard of 40 minutes for khinkali because Goletiani doesn’t believe in plopping food on the table in a heap, as most restaurants here do. That is not a Kakhetian concept, he says. “Everything tastes better one course at a time.” But on our visit we over-ordered, and the sturdy wooden table creaked under an accumulating stack of dishes. You won’t find the standard basket of tonis puri because Goletiani believes it is too filling. Kakhelebi grinds its own wheat flour to bake a delicious natural loaf and also offers palm-sized, yeast-free, pita-like bread. You will want to eat chinchari (nettles) not so you can say you have, but because it is refreshingly delicious. The green salad with strawberry klapi (fruit leather) is excitingly tart, although a little less dressing would be ideal. The fried oyster mushrooms with fresh tarragon and walnuts are light and crispy and an excellent teaser for the meat dishes to come. Goat and tomato season are the same. The goats come from Goletiani’s farm and are slaughtered when they reach 8.5 kilos. Stewed in a rich mixture of tomatoes, garlic, onion, fresh coriander and spices, the meat is so tender, you can leave your dentures at home. We ordered an assortment of lamb, goat and pork mtsvadi, cooked to perfection – as was the kebab, an herby, spiced blend of pork and beef, so juicy it could have been ripe fruit. Although it was six o’clock, a time we generally don’t start drinking at, we couldn’t resist sampling the wine and chacha. 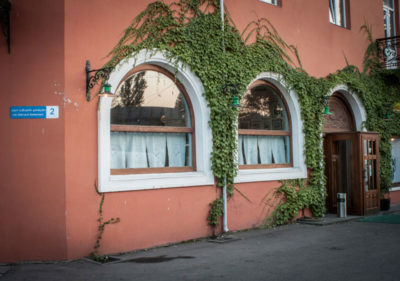 Goletiani’s family has been making wine since 1955 and offer the Georgian hallmark dry red saparavi as well as an uncommon blend of merlot and local rkatseteli, which is especially inspiriting summer wine. Their chacha is not distilled from fermented grape pulp, but from wine, like cognac. It’s strong, smooth, dangerous. 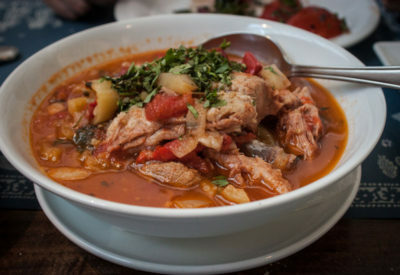 Like the best of Georgian restaurants, Kakhelebi diligently selects the freshest ingredients for its dishes. 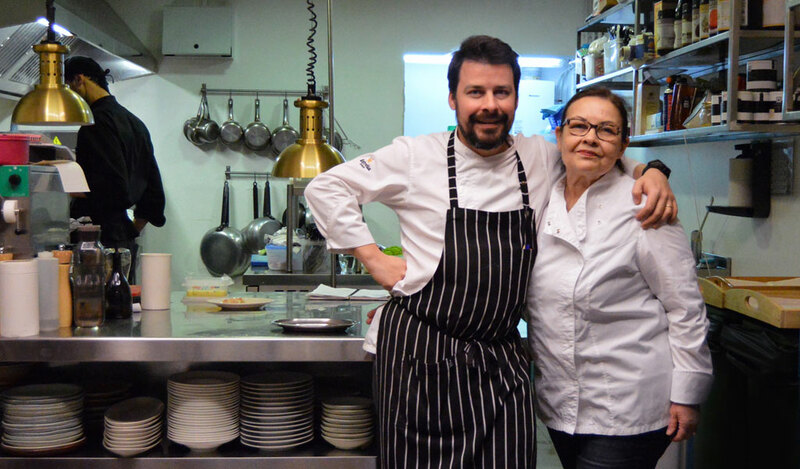 Quality is strictly controlled, while “tradition” is a concept understood loosely. Most of all, it is food that is conceived from the heart, not a cookbook. “I didn’t learn cooking officially. I experienced it,” says Goletiani. Hours: Mon.-Fri. 9am-8pm (will stay open later upon request and 10% additional charge to the bill).